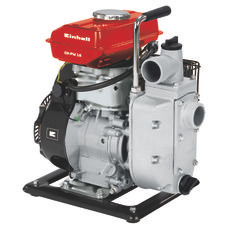 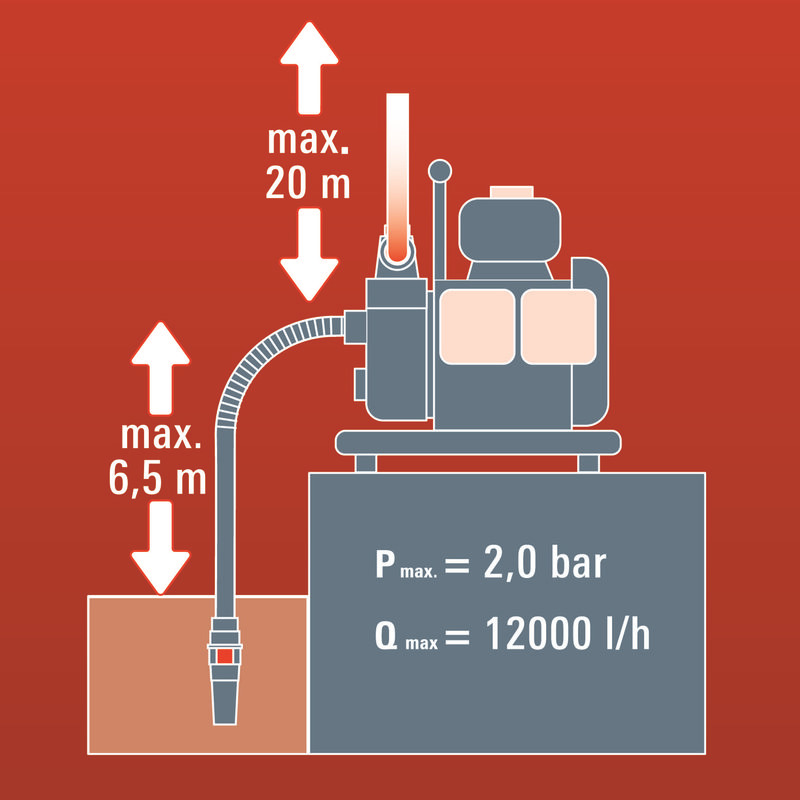 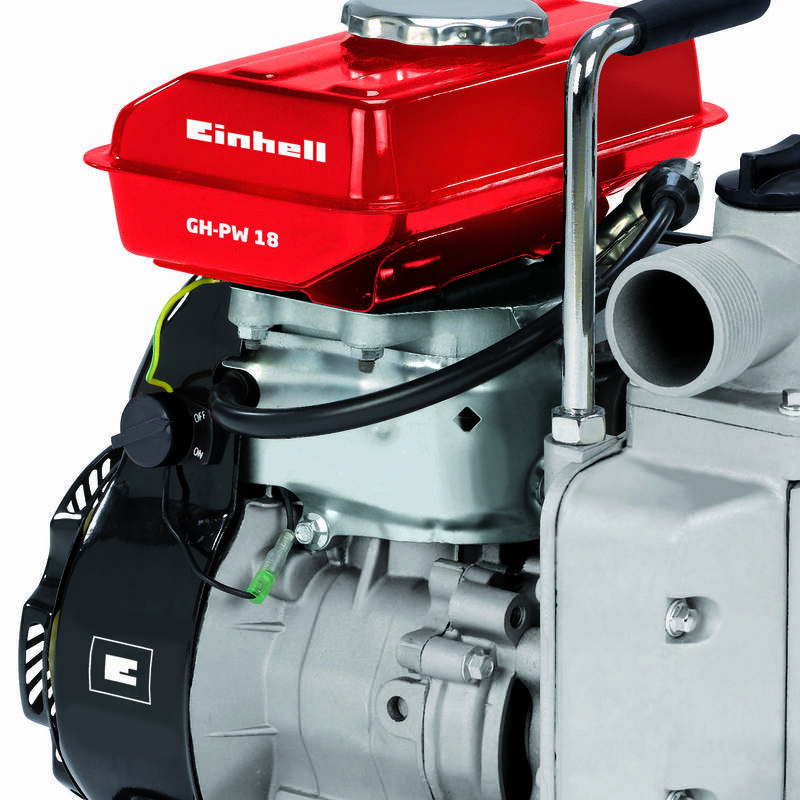 The GH-PW 18 petrol water pump is designed for quickly delivering large quantities of water, e.g. 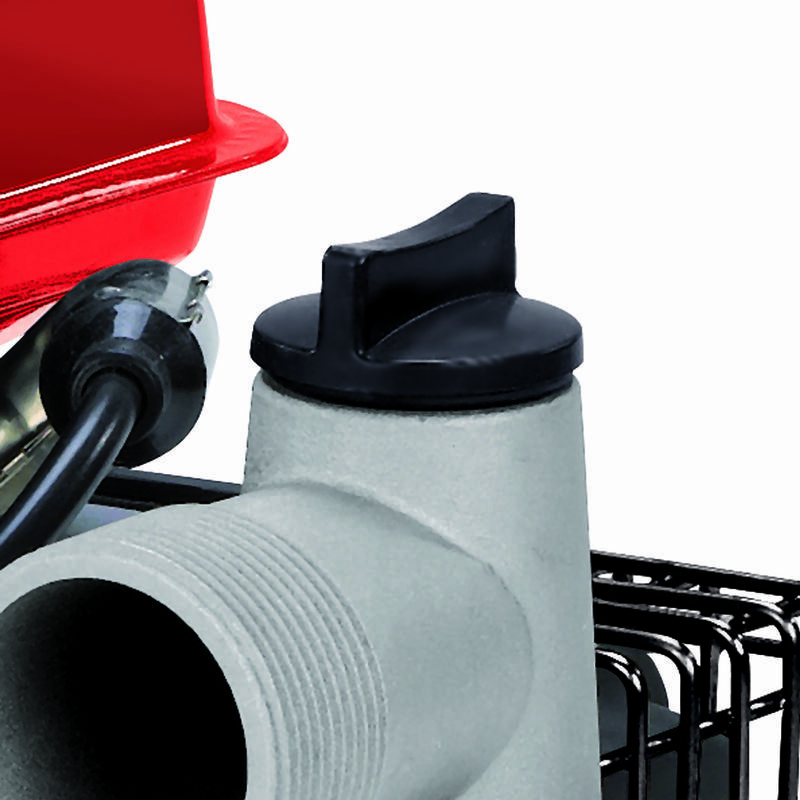 in order to supply service water where there is no connection to the electric power grid. The 1.8 kW four-stroke petrol engine provides sufficient torque for pumping up to 200 liters per minute to a delivery head of up to 20 meters. 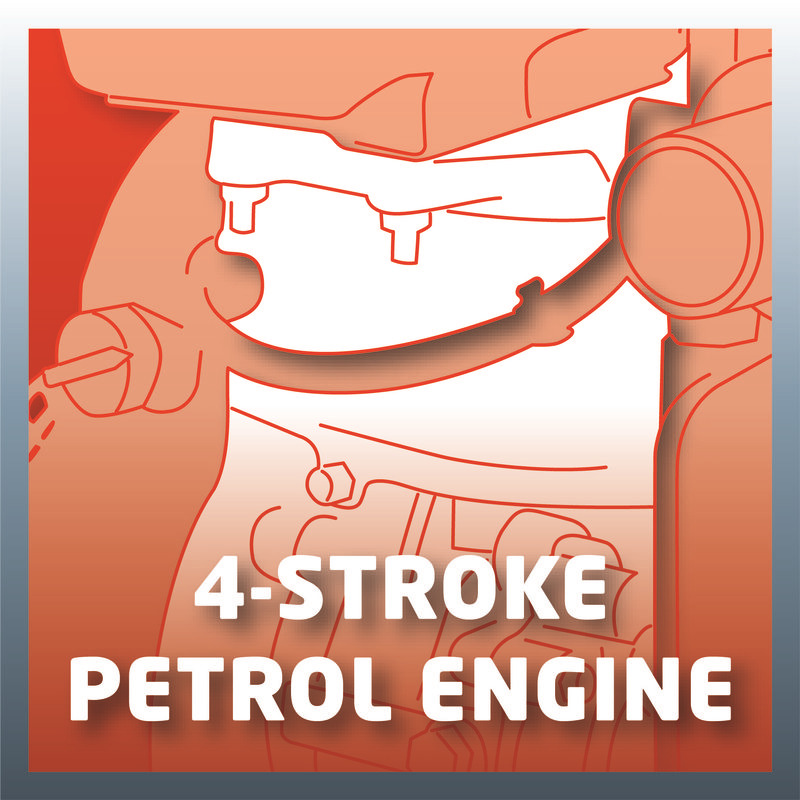 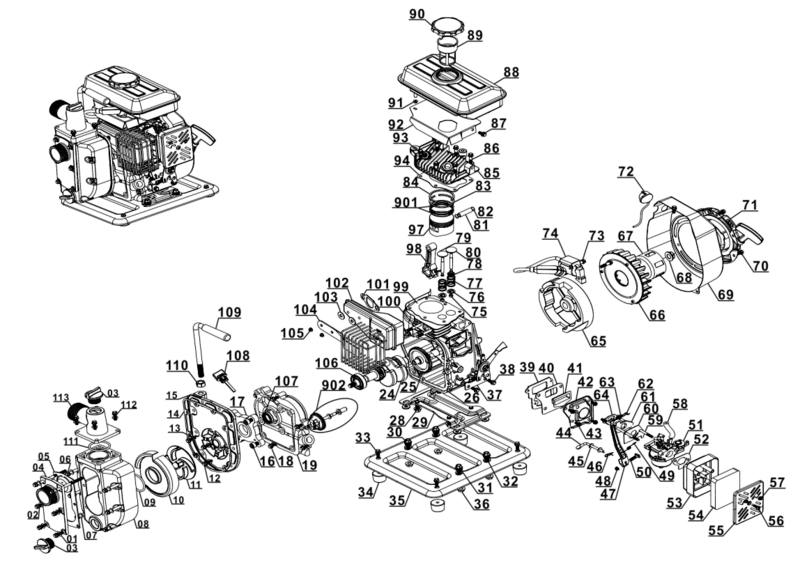 The pressure connection and the intake connection each have a G1½ male thread. 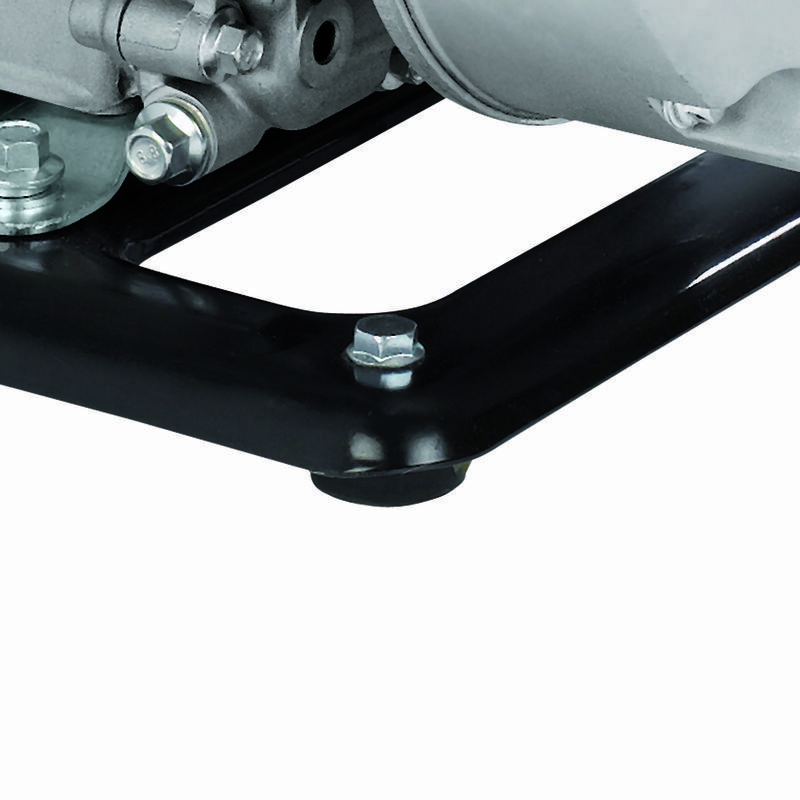 The GH-PW 18 stands securely on robust, vibration-absorbing feet. 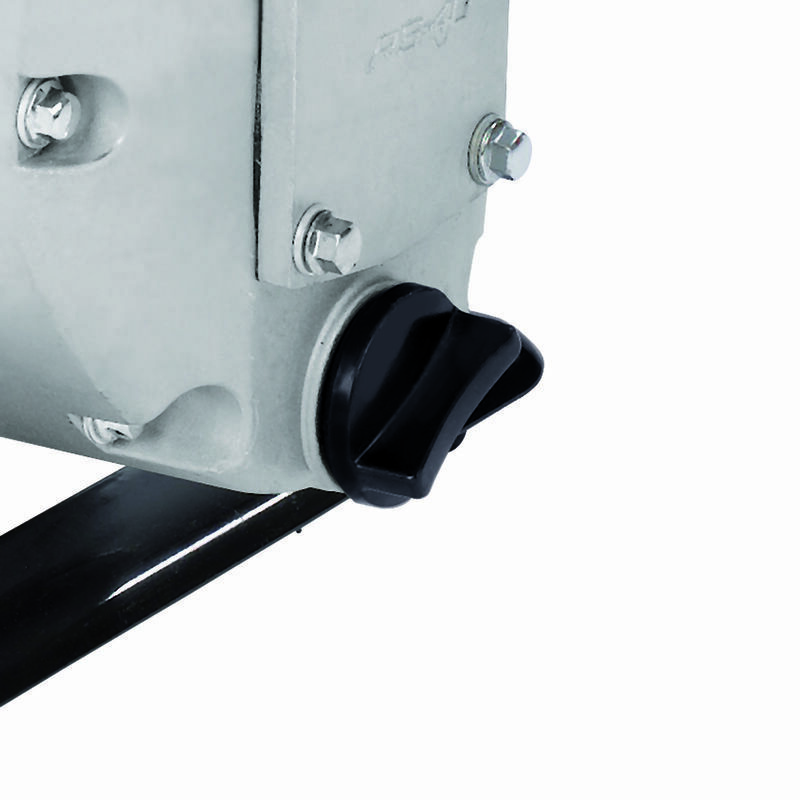 The pump has a 1.4 liter tank for long operating phases. 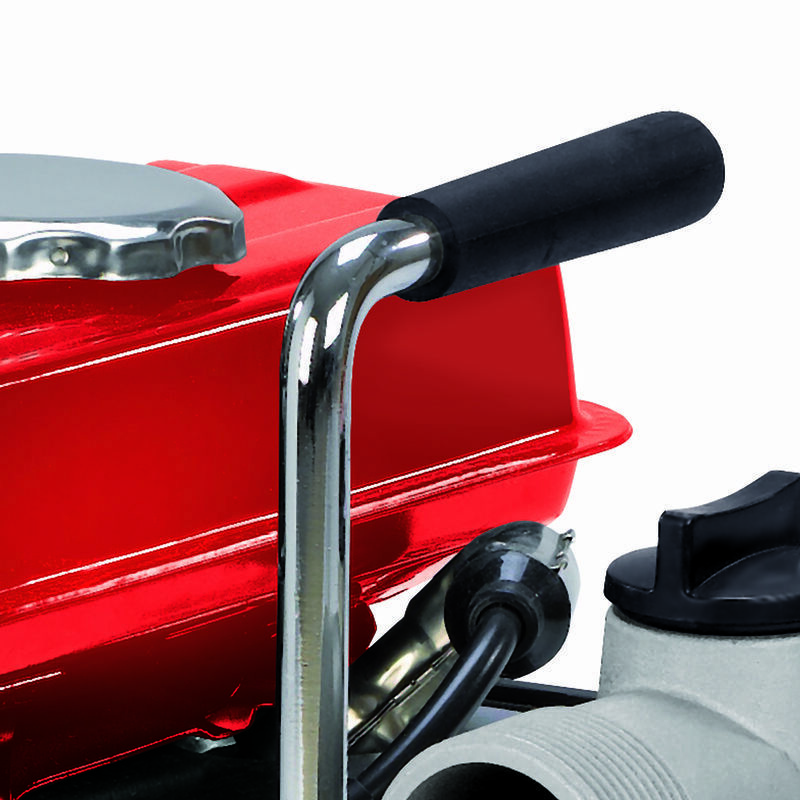 For user-friendly filling of the pump there is a water filler screw; a water drain screw is provided for draining away the residual water after use. 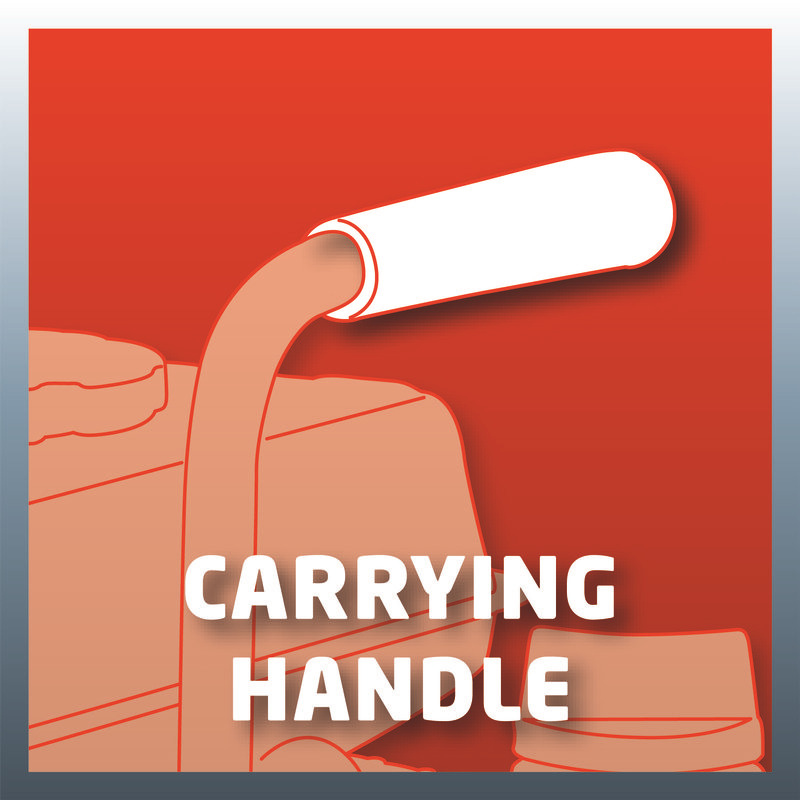 A practical carry-handle makes for user-friendly transportation. 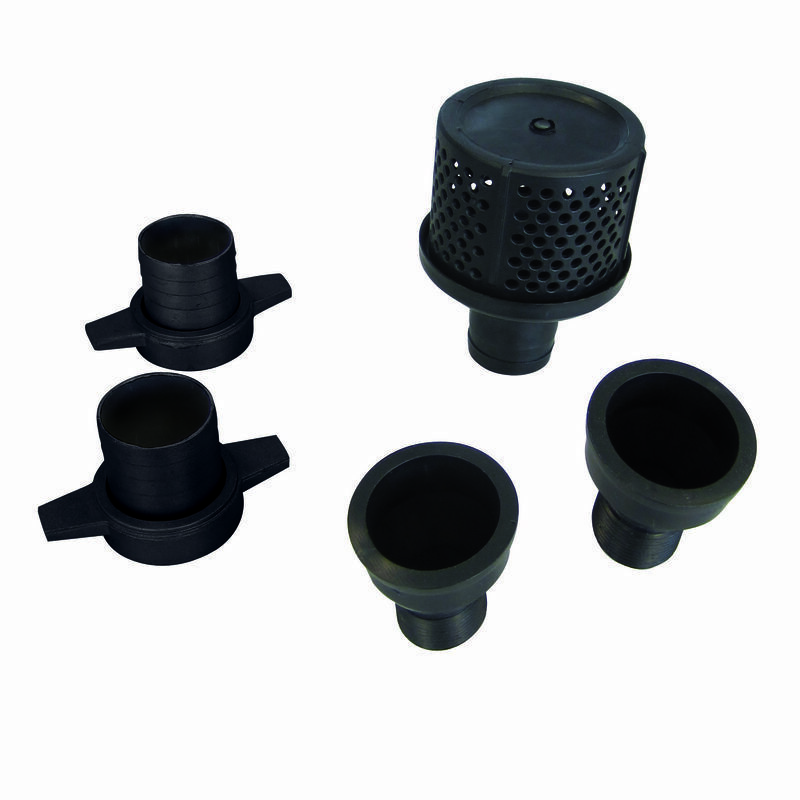 Complete with two hose connection adapters size 38.1 mm (1.5"), two reducers to size G1 male thread and one intake cage with hose connection size 1.5".